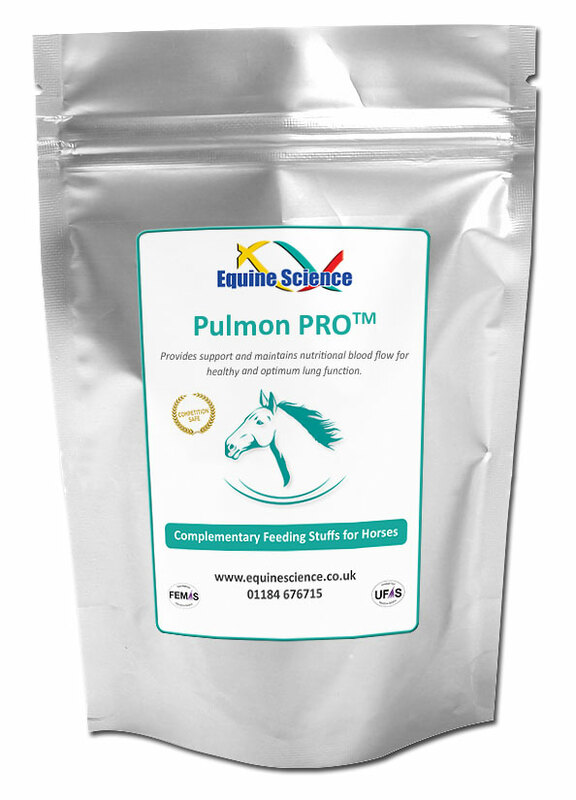 Pulmon PRO™ is formulated to provide the necessary nutritional precursors that support the horse’s own ability to heal damage, support blood pressure regulation and nutritional support to lung function. Efficient and effective, this product supplies active ingredients, working rapidly to support & maintain nutritional blood flow. During intense exercise, extreme blood pressure can cause the walls of blood capillaries to rupture. It is intense exercise that causes the loss of neurotransmitters that are necessary to relax and maintain the lung function. L-Arginine, Cinnamon, Turmeric, Mullein Leaf, Vitamin E, Vitamin C, Lecithin, Citrus Bioflavonoid, L-Tyrosine, Thyme, Liquorice, Chilli, L-Glutamic Acid, N-Acetyl-L-Cysteine, Zinc, L-Histidine, Vitamin B1 (Thiamine), Vitamin B2, Vitamin B3, Vitamin B5, Vitamin B6, Iron, Himalayan Salt, Vitamin B12, Biotin. Please remember to enter AGENT10-012 in the coupon section at the checkout to save 10%. Pulmon PLUS™ is a concentrated formula containing natural vitamins, minerals, herbs and amino acids of the highest quality to provide the necessary nutritional precursors to support the horse’s own ability to heal damage and support blood pressure regulation. Nutritionally supports the horse’s respiratory tract in coping with environmental challenges. Provides support and maintains nutritional blood flow for healthy and optimum lung function. Does not contain chemicals, fillers, binders or other known prohibited substances as defined by the FEI. Composition: L-Arginine, Cinnamon, Turmeric, Mullein Leaf, Citrus Biflavonoid, Liquorice, Zinc, L-Histidine, Vitamin E, Vitamin C, L-Tyrosine, Tyme, Lecithin, Chilli, L-Glutamic Acid, N-Acetyl-Cysteine, Milk Thistle, Echinacea, Fenugreek, Flax Meal, Garlic, Ginger, Ginseng, L – Carnitine, L-Methionine, Black Pepper, Algae-Spirulina, Iron, Himalayan Salt, Vitamin B12, Vitamin B3, Vitamin B6, Vitamin B5, Vitamin B2, Vitamin B1 (Thiamine), Biotin. Bute-EZ™ is a natural and effective palatable product containing a potent blend of herbs and amino acids that work together to support and maintain healthy joints. Used to soothe joints, discomfort, stiffness and maintain easy movement. It can be safely given whilst horses and ponies are competing as it contains no banned substances. Suitable for long term concerns. Horse owners are increasingly turning away from Bute because of the known side effects to the liver and digestive tract. 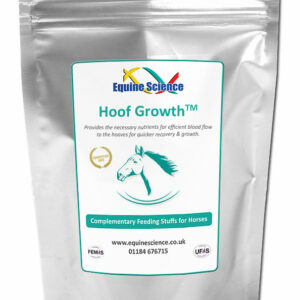 This is the perfect supplement to support and aid your horse’s recovery. Per 500kg horse, administer 1 level scoop twice per day (morning and evening) for the first 5 days, then 1 level scoop per day thereafter. Competition Horses: Administer twice a day. Mix with feed. Do not pre-mix. Can be syringed by mixing with a little water to form a paste. Composition: Turmeric, MSM, Soy Flour, Cinnamon, Ginger, L-Tyrosine, L-Arginine, N-Acetyl-LCysteine, Chilli, L-Carnitine, Peppermint Leaf, Fennel, Oregano.